The South Sudan government has snubbed the second round of peace talks with rebels in Addis Ababa, Ethiopia, further denting hopes of permanent peace in the world’s youngest nation. 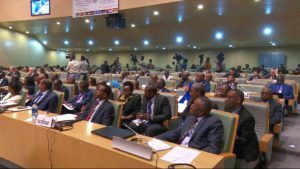 The peace talks, which are brokered by the Intergovernmental Authority on Development (IGAD) started on Monday in form of a confidence-building measure following the signing of a cessation of hostilities agreement. However, a delegation from the South Sudan government sought to block the resumption of the talks, arguing that they need more representation. IGAD had allocated 12 seats to both government and rebel groups. However, government’s request was rejected and the meeting started without their representation. The second phase of the revitalisation talks seek to discuss the implementation of a permanent ceasefire, deliberate on revised and realistic timeline and a schedule towards general elections in the country at the end of the interim period. While opening the session, the head of the IGAD Council of Ministers Workineh Gebeyehu reminded both parties that striking a political deal and respecting the cessation of hostilities was the last chance for peace, which if squandered the parties would be blamed for what is happening in South Sudan. IGAD Special Envoy for South Sudan, Ismail Wais, urged the parties to desist from ceasefire violations, saying the region and the international community are ready to take punitive measures against individuals and organizations that have or will violate the Agreement. South Sudan plunged into violence in 2013 after the former first vice president, Dr Riek Machar disagreed with his boss, Gen Salva Kiir, the president of the country, forcing millions into exile.